Categories: Classic Collection, Women. Tags: black and white, classic, classic collection, coco, coco chanel, daddy & fox, lounge wear, loungewear, relax, relax wear, sleep wear, sleepwear, timeless. 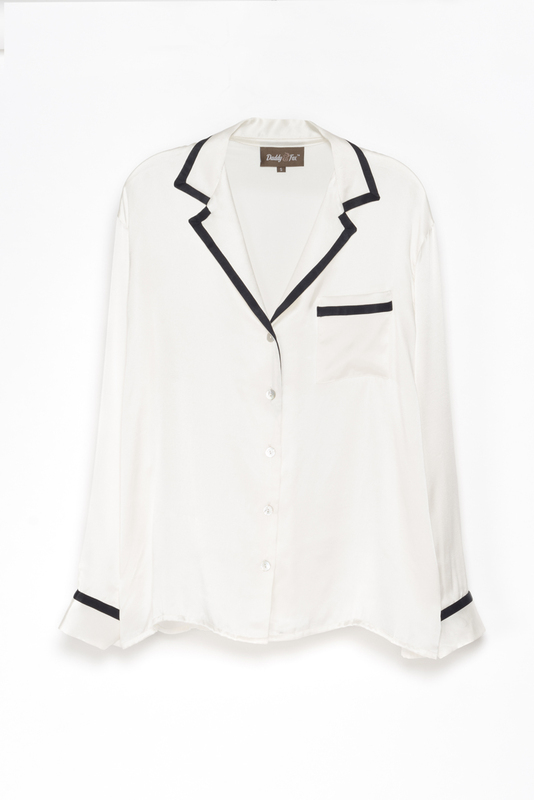 Based on Coco Chanel’s infamous signature black and white look, this 100% silk PJ set is luxury epitomized. A milky, warm white silk shirt with bold contrast band in black drapes effortlessly over full-length pants with drawstring waist for ultimate comfort, and black-band cuffed ends.